(Updated 1 a.m.) Video from Freedom Hill Elementary in Vienna showed at least six cars driving past a school bus loading up with children. 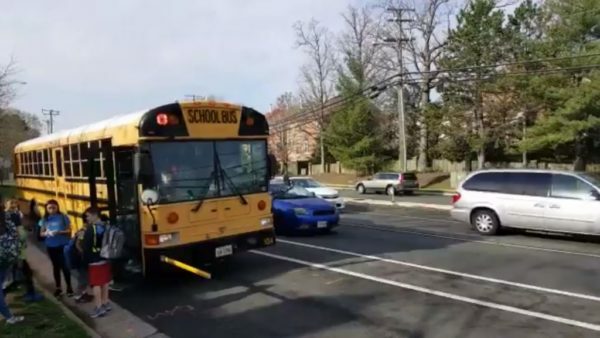 As a reminder for those who might not have been paying attention during their driver’s ed class: if a school bus is loading or unloading passengers, whether or not the lights are active or the stop sign is extended, drivers are required to stop unless the bus is on the opposite side of a median or barrier. Drivers are also required to remain stopped until all passengers have been loaded and the bus moves again. Failure to do so could result in a ticket. During VDOT’s initial proposal for I-66 corridor improvements, the Federal Highway Administration noted that concerns were expressed about pedestrian safety on Gallows Road. The person who posted the original video said that the clip was representative of pick-up and drop-off at the school. 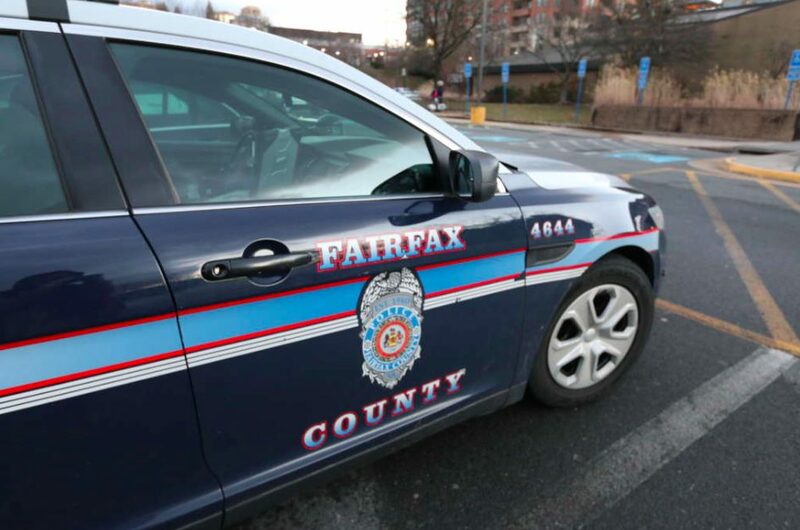 But the story has a happy ending, at least, with Fairfax police arriving the next morning to monitor traffic and enforce the laws. 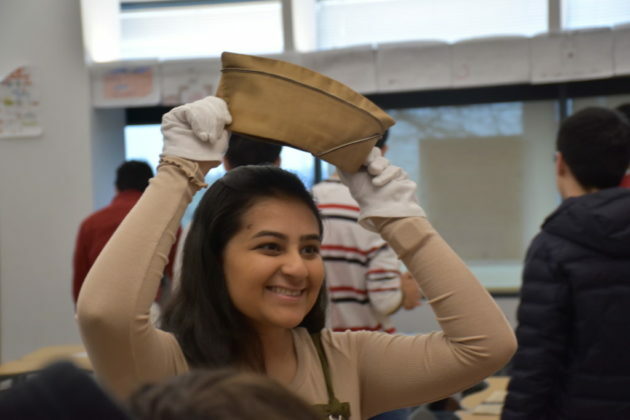 Students at a private school in Tysons got to examine and touch artifacts from American history in a unique lesson on World War II. The traveling “Operation Footlocker” exhibit stopped by an AP U.S. history class at the BASIS Independent McLean (BIM) yesterday (Tuesday), according to the school. 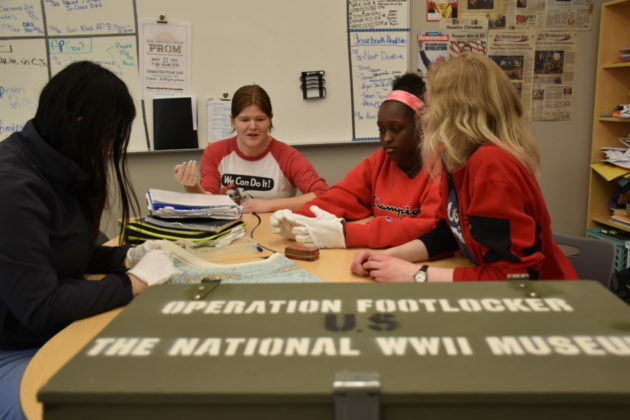 The program by the National WWII Museum sends a footlocker full of 15 artifacts from WWII — like letters home, sand collected from Normandy and Iwo Jima, or wartime magazines — to schools in order to facilitate hands-on educational experiences. The footlocker opened in BIM included a 1944 high school yearbook, wooden toys, and a U.S. Army field manual. The footlockers come with cotton gloves for handling the artifacts and a manual to explain the significance of each object. 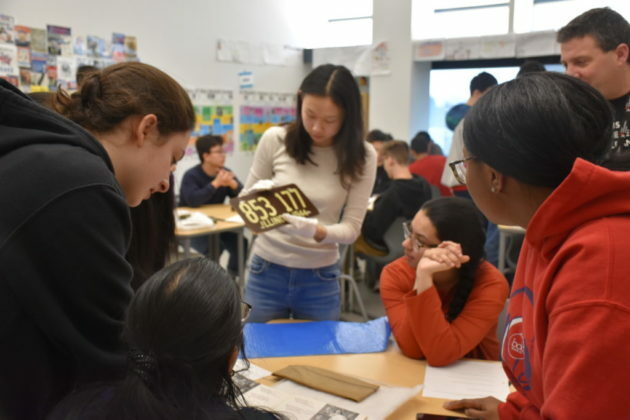 “We’re grateful to the National World War II Museum for this fantastic learning opportunity that allows our students to touch, feel and see this moment in history with genuine artifacts,” said Tiffany Conroy, head of school for BIM in the press release. 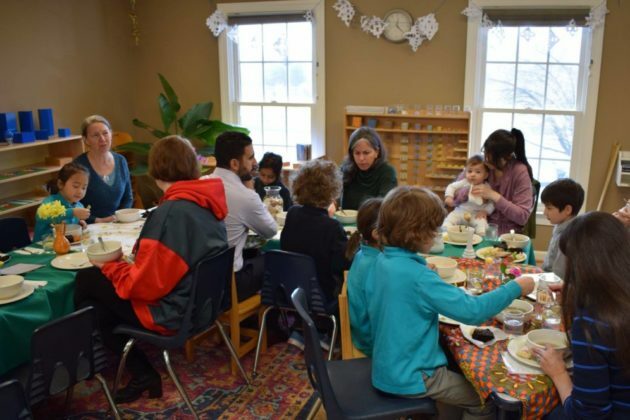 The Fiore Montessori School in northern Vienna is seeking Fairfax County approval to increase the school enrollment and expand into a nearby vacant building. The property is spread across 4.5 acres across from the Meadowlark Gardens Regional Park on Beulah Road. The site has been used as a private school since 1985 and in 2010 won approval to operate a childcare center and nursery school. In 2013, the school was accredited as a Montessori facility. The vacant building was once part of the school, but has been unused since 2000. According to the application, the increase is necessitated by demand from new Tysons residents. The school primarily serves families in Vienna and Tysons. The vacant building would be remodeled without increasing the size of the building but would increase the school’s enrollment capacity. The application notes that the school is also considering expanding the school’s age range to care for students younger than 3 years old. A Planning Commission hearing for the project is scheduled for June 12. Fairfax County Police are holding an anti-DUI and alcohol awareness event at Langley High School in McLean today. The event, which is being held from 9 a.m. to noon, is timed to coincide with some key moments on the school calendar. Prom and graduation season are quickly approaching, and we want to remind teens about the importance of being responsible at celebrations. We are partnering with Fairfax County Public Schools by hosting our Spring Drug and Alcohol Awareness Program. Juniors and seniors at Langley High School will be given the opportunity to wear physical impairment goggles while being tested on both simple and complex tasks, such as driving a wheelchair through a cone course or going through a mock sobriety check with our officers. Students will also learn about Virginia’s underage drinking laws and the consequences for breaking them, as well as the physical and mental dangers that often come with underage drinking. Poll: Was a School Delay The Right Call Last Night? At 6 p.m. last night, Fairfax County Public Schools announced that schools would open on a two hour delay today, due to expected snow. 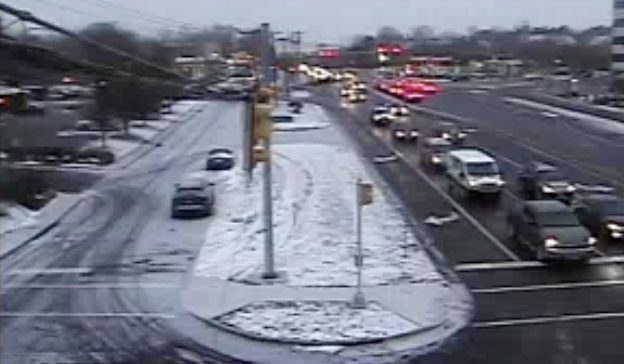 As of this morning, however, roads and sidewalks around the county were mostly wet, with some slick spots, while grassy areas had a coating of snow. Yesterday’s forecasts called for anything from no snow to 2 inches. Given what was known last night, do you think FCPS made the right call? After killing the boundary change proposal to relieve McLean High School, the Fairfax County School Board is currently beginning discussions on a broader redistricting effort. But as it does, it’s having trouble escaping the shadow of McLean’s overcrowding. 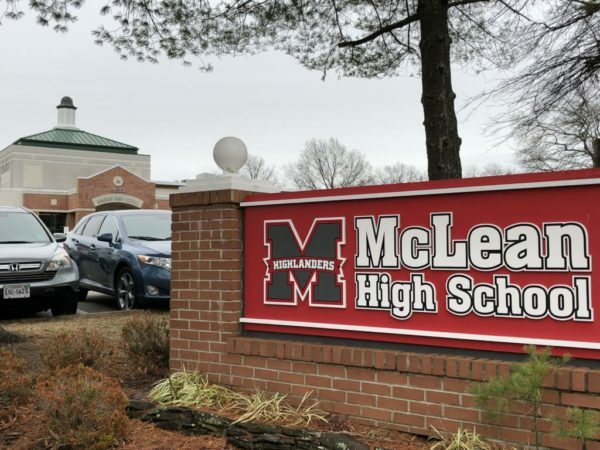 Overcrowding at McLean High School has been a contentious topic made worse by nearby Langley High School’s under-capacity status following extensive renovations. 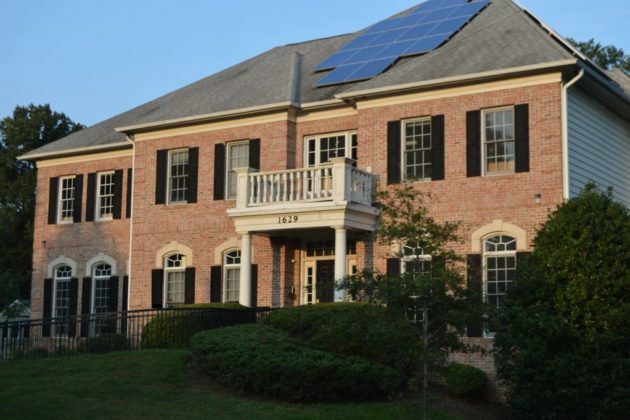 Dranesville District Representative Jane Strauss had put forward a plan to shift some students in McLean High School’s feeders — elementary and middle schools whose students are planned to attend McLean High School — to Langley. But the plan faced pushback from other members, who said McLean High School needed to wait for the broader redistricting to take effect. As the School Board is putting together its priorities, Fairfax County Superintendent Scott Brabrand said he will work on putting together more information for the McLean community. School staff said the ongoing challenge is that any school-level changes that get made to address immediate overcrowding could conflict with the countywide plans being developed. Staff noted that a new modular facility will be installed at McLean High School, but that it will not eliminate overcrowding at the school. But Brabrand assured McLean parents that the update would likely come within the month. The Fairfax County School Board is looking for a new student voice. Every year, a high school student is selected to serve as a representative on the School Board. Applications for the position are currently available online and are due March 18. 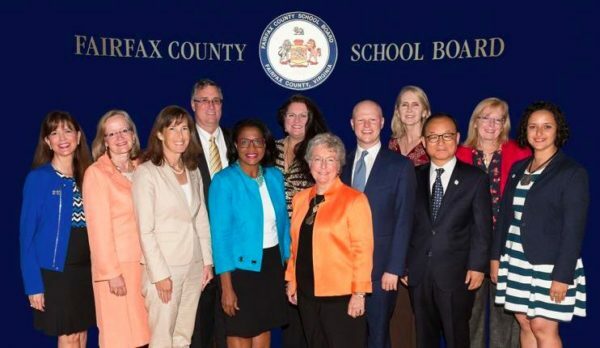 “The student representative is not a member of the School Board but serves in a nonvoting, advisory capacity, representing the interests of the students of Fairfax County Public Schools (FCPS),” according to a post by FCPS. The student representative will be required to attend meetings and engage in discussions with members of the School Board. According to the school board bylaws, the student representative will receive compensation for their participation in meetings, but not to exceed $50 per day. Students in grades 9, 10, and 11 are eligible for the position. Applicants will need to attend the election convention at Edison High School on April 11 and speak in front of the Student Advisory Council’s student delegates. The delegates will then elect a representative to the board. Fairfax County public schools are planning to open on a two hour delay Monday due to possible snow and freezing rain overnight. A Winter Weather Advisory is now in effect, as forecasters warn of a potentially difficult morning commute. The Virginia Dept. 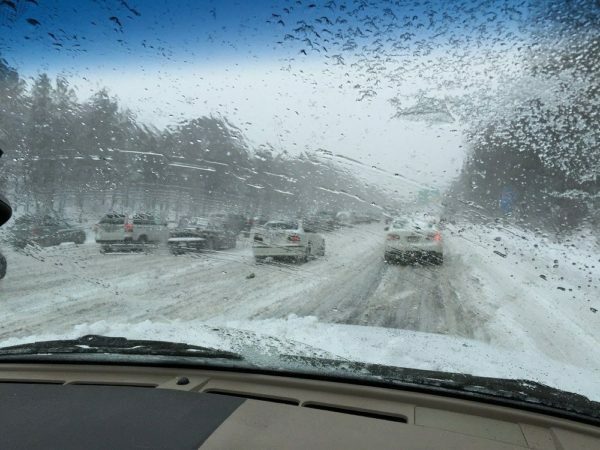 of Transportation is urging Northern Virginia residents to expect icy conditions and, if possible, to telework Monday morning. Due to the winter weather advisory in effect for tonight and early tomorrow morning, all Fairfax County public schools will open two hours late Monday, Feb. 11, 2019 (Condition 3B). School offices and central offices will open on time. The Fairfax County School Board approved the FY 2020-2024 Capital Improvement Program (CIP) on Jan. 24, and the much talked about boundary adjustment to relieve the overcrowded McLean High School didn’t make the cut. The CIP shows that McLean High School is currently at 114 percent of its capacity, with projections showing the population increasing to 127 percent by 2022. Meanwhile, the nearby Langley High School sits at 82 percent capacity following an extensive renovation. Jane Strauss, the Dranesville District representative on the School Board, had been spearheading the effort to make the boundary adjustments but faced pushback from other School Board members. Strauss confirmed that the boundary adjustment wasn’t docketed in the CIP and the boundary change won’t happen until the 2022-2023 school year at the earliest, and that’s assuming the item is successfully added to next year’s CIP. Strauss said the growth of Tysons is going to continue fueling expansion in nearby schools, and the schools are caught between the urgency of that growth and taking time to start the shifts as early as possible to keep school groups together. Other school board members said they were uncomfortable approving a spot-boundary change before the School Board conducts a broader boundary examination on Feb. 25. Some McLean High School parents were unenthusiastic about the School Board’s decision. Strauss also noted that this boundary is a more specific adjustment between neighboring schools than what is usually covered in the broader boundary changes. Furthermore, if Langley High School remains below its capacity, Strauss said its class choices might be more limited than other high schools. Though the boundary changes aren’t on the table for short-term changes, Strauss said new modular additions are still possible for the school. Whether or not the School Board is involved in official plans to make boundary changes, Strauss said she is still planning on meeting with the community to develop solutions. A McLean High School Parent Teacher Student Association meeting on overcrowding is scheduled for tomorrow (Wednesday) at 7 p.m. at McLean High School, though as happened earlier this month, icy conditions could postpone the meeting. Strauss said she plans to meet with Langley High School parents for a similar discussion in March. Fairfax County Public Schools will be closing two hours early on Tuesday due to expected winter weather which may lead to a messy evening commute. The school system made the announcement late Monday afternoon. 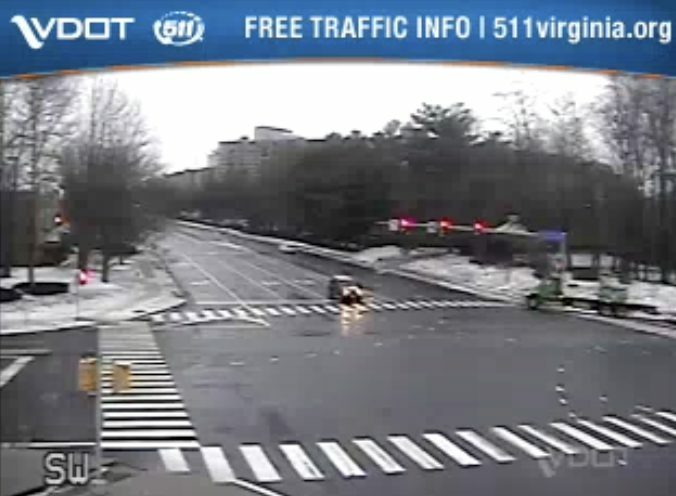 The National Weather Service has issued a Winter Weather Advisory ahead of the wintry precipitation, warning of “hazardous conditions” on the roads.